Pammy Blogs Beauty: New Shopping Site! 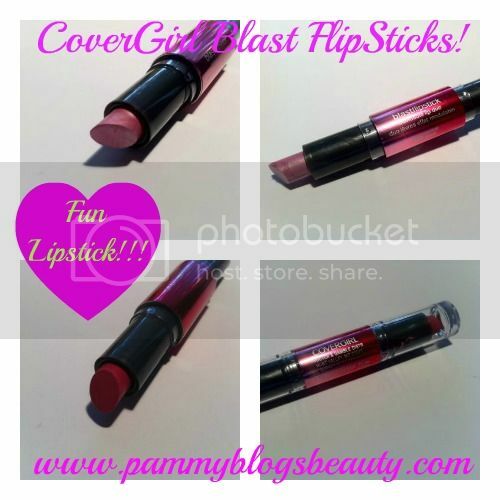 CoverGirl Blast FlipStick review and Shopping Discount!!! New Shopping Site! 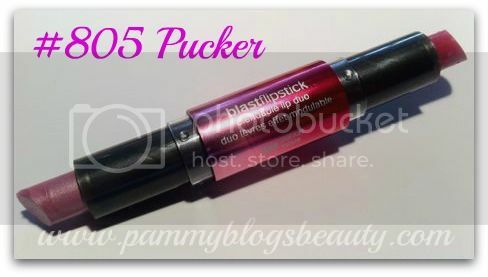 CoverGirl Blast FlipStick review and Shopping Discount!!! OMG! I can't remember the last time that I had *this much fun* with a lipstick! Seriously ya'll, this product reminds me of why I have fun "playing with my makeup". If you have been dying to try the Ombre' lip trend, search no further! These cute little CoverGirl Blast FlipSticks make creating a beautiful ombre' lip effect so easy. What is an ombre' lip effect? Ombre' lips are basically a dual color lip effect that is created by layering two colors of lipstick together: a lighter color on the inner part of the lips layered over a darker lip shade. The idea is for the color to be lighter where your lips come together and then for the color to slowly fade out to dark at the edges. The gradual change in color actually makes your lips look fuller! 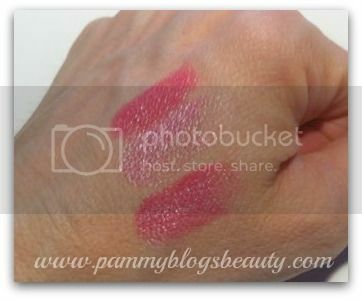 CoverGirl Blast FlipStick: Blendable Lip Duos: Ombre lips made easy!!! At first you might think, "gimmicky" or "do I really need another lipstick"? I mean, basically this is just a dual ended lipstick with a catchy name? Well, think again ladies! These FlipSticks really do make creating an Ombre lip so easy! The colors paired in the Blast FlipSticks are just perfect together! The actual size and shape of the lipstick makes it easier to apply to small areas of your lips. FlipSticks have a narrower lipstick bullet than a usual lipstick. This makes it much easier to get the effect. I love that one lipstick end is matte and the other is shimmer. Shimmer on the inner lips really creates a cool effect that makes your lips look very full and lush. 4 Lip Looks from two coordinating shades! Each shade can be worn individually, they can be worn for an ombre effect, or they can be blended together. You get 2 beautifully coordinated lipsticks for the price of one! Swatch photo taken indoors under light bulb. I really love these shades (see swatch above)! One end is a creamy bold cool toned pink and the other side is a light and shimmery mauveish pearly pink. These shades look beautiful with my neutral-cool toned complexion. The bold pop of color really perks me up! Lip photos taken in natural light. These lipsticks glide on so smooth! The lipstick feels nice and hydrating on the lips. I found that I got a few hours of good wear with gradual fading. So, a bit longer wearing than my usual lipstick. Like all lippies, you will need to reapply throughout the day. I am having so much fun playing with my new CoverGirl Blast Flipstick! So much so that I want to pick up more shades! The collection has both warm and cool toned shades. I lean more towards cool tones. So, those are the shades I will be scoping out. It seems as if most of them lean a little more towards warm. Discount on the P&G Shopping Site for my readers! Lots of great Olympic-themed bundles and deals right now J P&G is a big Olympic sponsor. *To get these deals, you must shop through my link in the graphic posted below!!! Have fun shopping!!! Be sure to check out my link above to the P&G online shopping site! In the interest of full disclosure, know that I can earn blog revenue or commission from purchases made at the store through my link in the widget (either this product or any product in the store). All my thoughts and opinions in this post are my own and are based from my experience with this product. I only recommend products that I personally enjoy using! Tell me in the comments below what your favorite P&G products are! I would love to know. Also, what do you think of the Ombre lip trend? Is it something you might want to try? I purchased this product with my own money. BlogHer as I can earn comission from the P&G widget/link. own and based on my personal experience with the product. I tried this out when I got a P&G make over, I really love the concept!